Short path together with Dix Admin!! Sweets and Boys Dix, today I took some time. to explain how work our website. along a short path to explore gadgets and links. you need throughout only a few minutes. but after this short course, you can get all the information you need with ease. Also from our site. without to explain every time, from the page. The gadgets the pictures you see are not made by chance .. but they all have their purpose. In fact, clicking on the images, you can access various websites and writings. 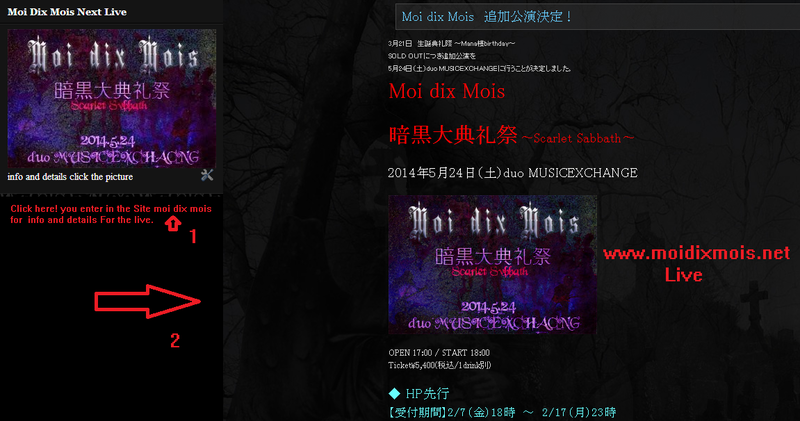 are links to the official sites .. 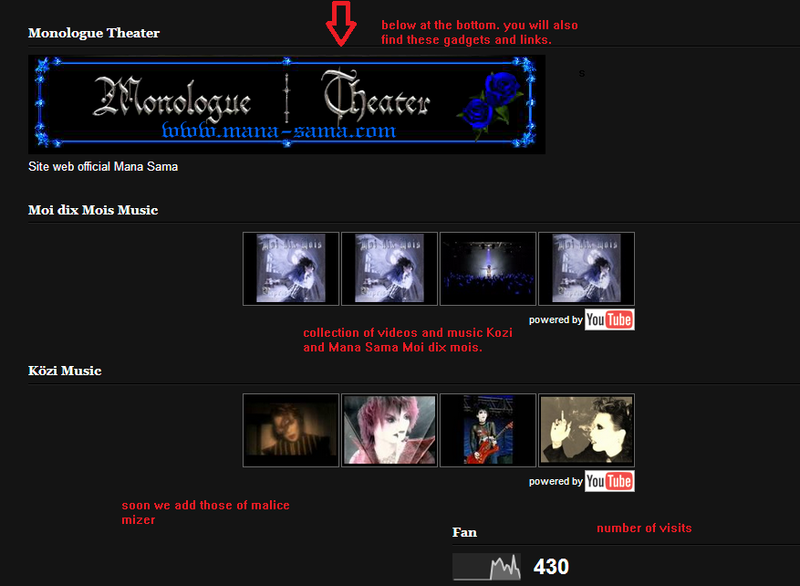 Here you can find everything you need, blog, site official, blog ameba Yue and Caly. links of the pages. 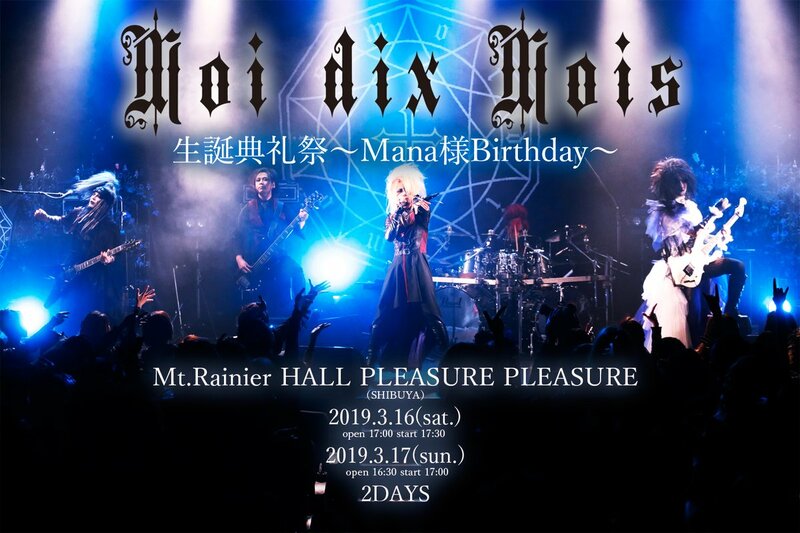 information and details of the concerts Moi dix mois and Kozi. Click on the images to enlarge and see better! 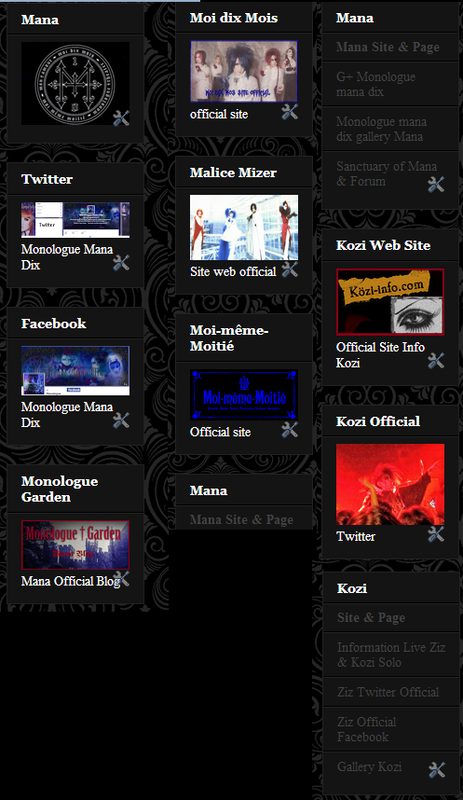 Do not be afraid to explore and scroll down the main page to eslploare worldwide Mana Sama. 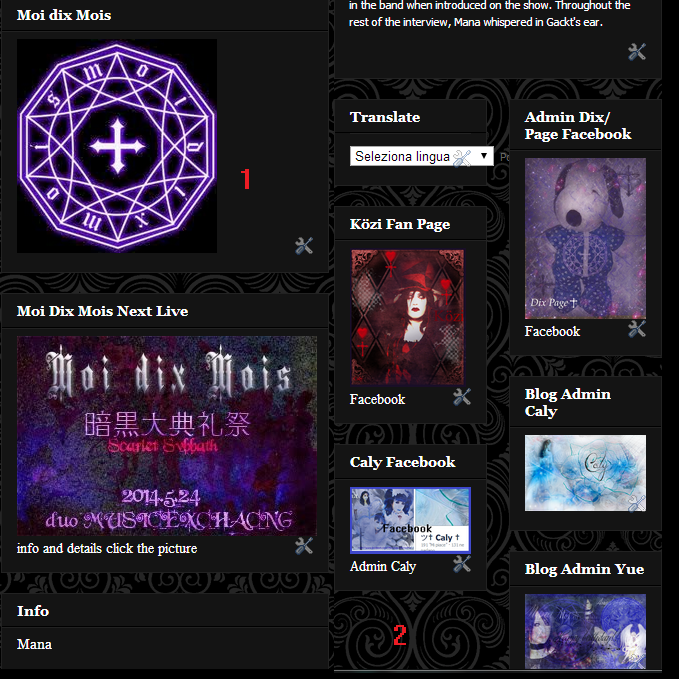 clicking on the image, you can connect directly to the information and details live on the official website of moi dix mois. 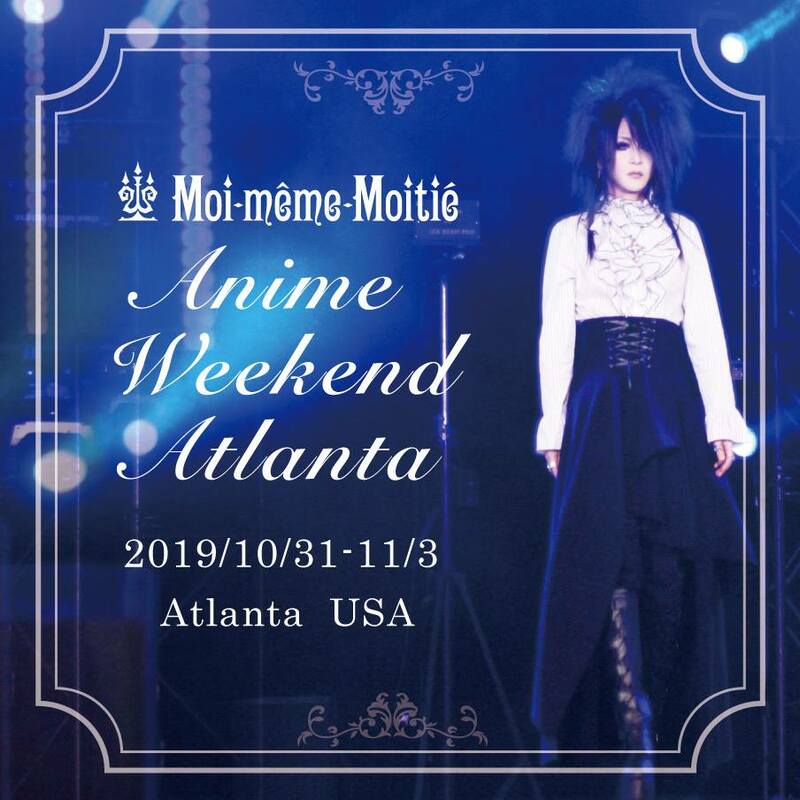 you automatically connect with the main window with all the dates and live, with all the necessary information of the concert. Simple is not it? and also comfortable. The gadgets, works just like the " monolgue garden" by Mana Sama. that if you noticed on the side of the post. also has all the links to the various sites his. and also down, after info Mana. 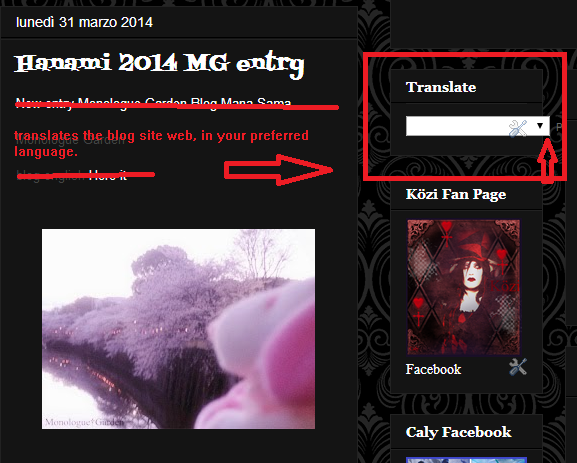 You can also find the translator for blog. that even if it is not perfect as it can be translated. can help you more or less to make you understand what we write. if you have a language different. Well! this new post was made also for explain, especially to new fans dix. who have yet to discover and learn. this site has everything you need. 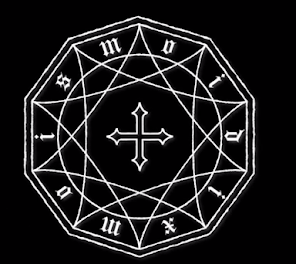 with various updates and news. and for the same fan, for a long time that they need various information. I hope it has been helpful, and at the next with the new updates. I recommend you follow and invite your friends. 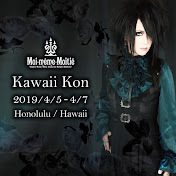 PS: This blog site web-Monologue Mana dix club. 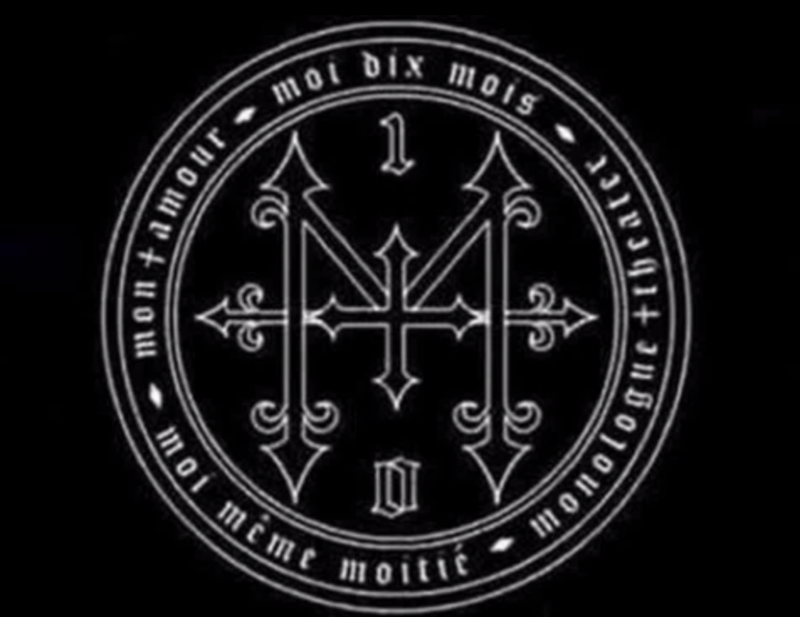 is managed by me and by Caly. only us, dix and Caly admin!